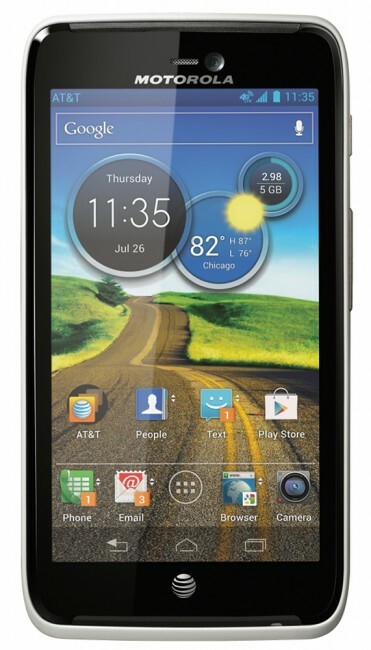 This morning, Motorola made the Atrix HD official, a phone that was prematurely outed on their own website last week. As expected, the Atrix HD sports a 4.5″ HD display with ColorBoost technology, 1.5GHz dual-core processor, 8MP rear camera, 1.3MP front camera, 1GB RAM, 1780mAh battery, 8GB internal storage, expandable storage up to 32GB, runs Ice Cream Sandwich and AT&T’s LTE all in a slim 8.4mm body. As we mentioned after first reporting the landing page for it that popped up on Motorola’s site, the Atrix HD is by no means a top tier phone nor do they expect it to be. This is clearly directed at the “price conscious” crowd that still wants a powerful phone. It’s like a regular DROID RAZR, but with an HD screen. The big dog from Motorola is still yet to come. Atrix HD will be available on July 15 at AT&T for $99 on 2-year contract.